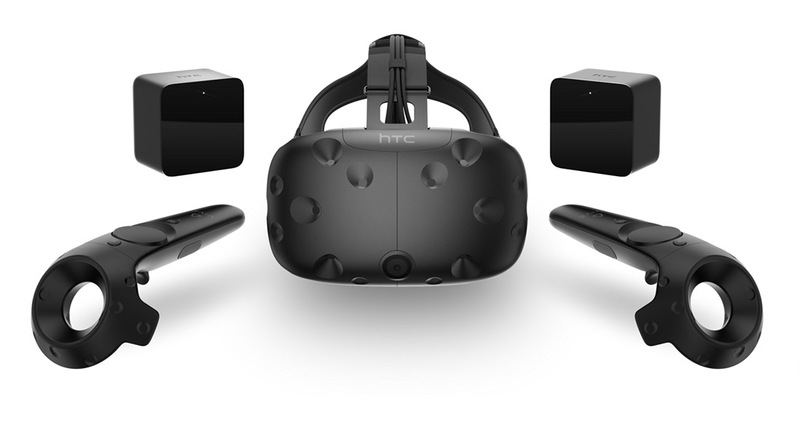 To kick of MWC, HTC announced today that its VR offering, the HTC Vive, goes up for pre-order at 10AM Eastern on February 29 for $799. That price equates to a “complete VR solution,” including two wireless VR controllers, room scale movement sensors, Vive headset (HMD), and two VR titles. HTC expects full commercial availability to start in early April. The HTC Vive Consumer Edition has “refreshed branding,” an updated (more comfortable) head strap, and new phone functionality. With Vive Phone Services, you can be engulfed in a world of VR, yet still stay connected to events happening on your phone. You will be able to receive and respond to calls and text messages, but also send replies and see upcoming calendar items from within the headset. As a reminder, the $799 does not include the ultra-powerful PC that you will need to power Vive. HTC isn’t saying exactly what you’ll need, but if it’s anywhere near the range of Oculus Rift, you could be buying or putting together a computer from $1,000 up to $2,000.